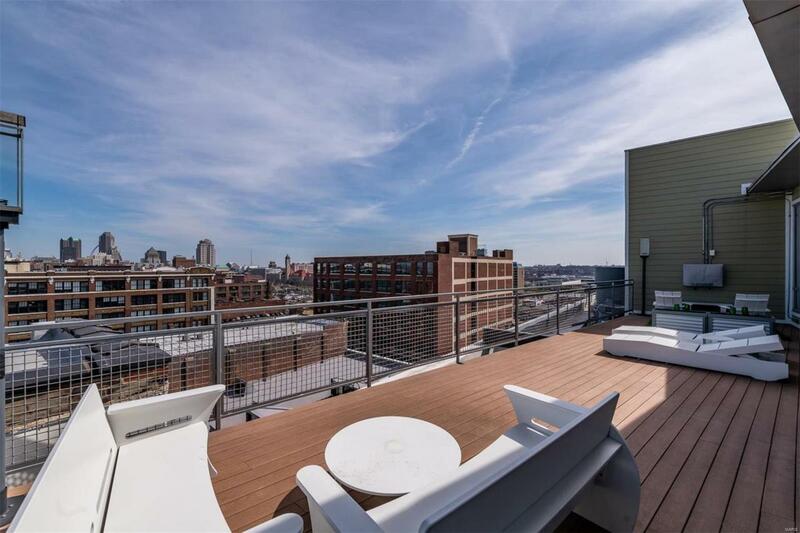 AMAZING Penthouse showcasing the Entire Eastern City Scape including the ARCH! Floor to ceiling windows stretch across as you enter! Your guest will be "WOWED" by the intentionality & exquisite design. 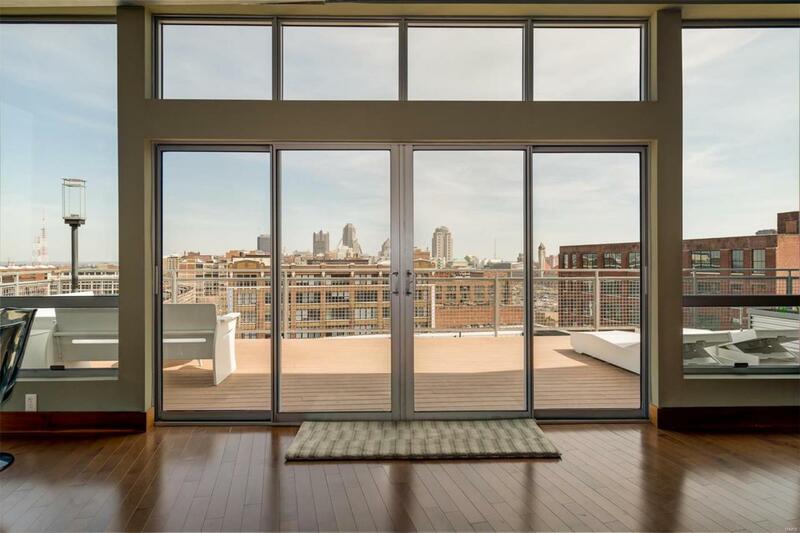 A ONE Of a Kind front facing 400sq foot private deck w/unimpeded Eastern views, gas lamps, & a 4 Season television. The chef's kitchen has loads of custom cabinets, dazzling granite, sleek backsplash, GAS stove, & pantry. Tremendous living room bright, beautiful, views & open-Great for Entertaining! Sleek Hardwoods throughout & metal ceilings add a pop. Dreamy Huge Master Suite including private deck, floor to ceiling windows, loads of space, & out of this world custom built closet! Gorgeous Master Bath w/Jacuzzi corner tub, oversized shower, & custom double bowl vanity! Ideal spacious guest bedroom, sharp guest bath, & office easily converted to a 3rd bedroom! 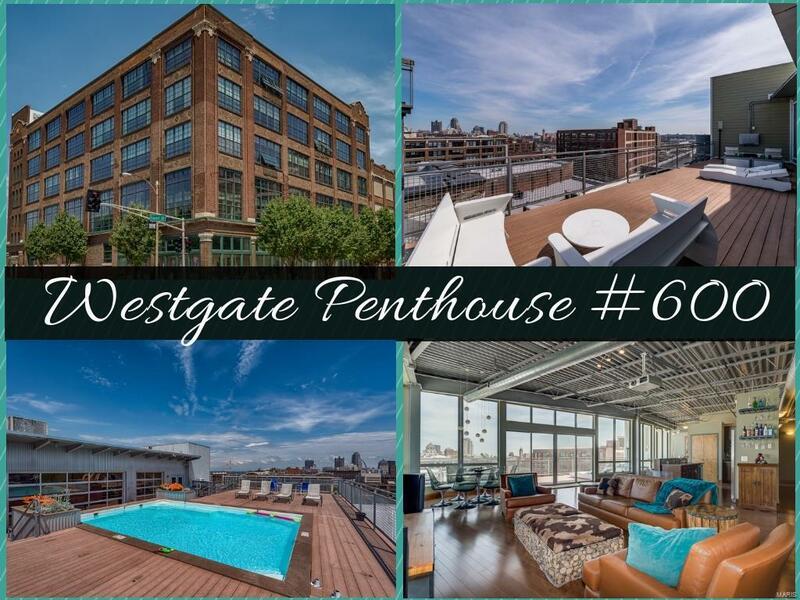 Steps from Roof Top Pool, NO neighbors, & 2 garaged spaces! 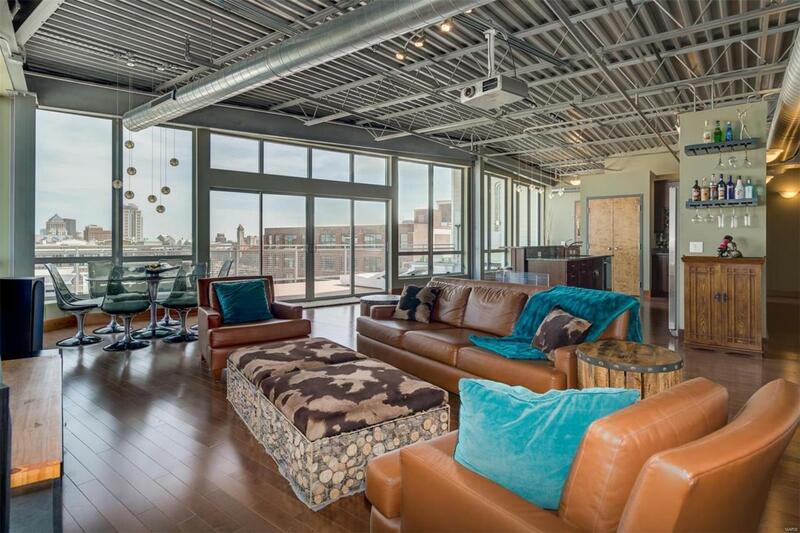 U will love this "House Like" Penthouse! Listing provided courtesy of Premier Realty Exclusive. Listing information © 2019 Mid America Regional Information Systems, Inc.